Colored hair extensions can be worn in a multitude of ways. Style is a personal choice so feel free to follow the tips or ignore them - we’re just glad you stopped by. Braid Them, Bond Them, Twist Them, Clip Them, Clamp Them, Weave Them… Wear Them! Whatever your attachment method and whatever your skin tone, there’s a way to incorporate subtle or striking colours into your hair and much like our hair weaves coloured hair extension guide, the starting point is where you’ll wear them. You might not be able to wear bright blue hair extensions to work, but you might be able to wear an ombre effect with a subtle dark blue. If going for something subtle keep to colours in a colour range that matches your overall hair colour. Hair extensions (whether braided, bonded, clamped, fused or woven) give you a bit more freedom with the colours you can use. ...there are a quite a few hair colour charts for inspiration. 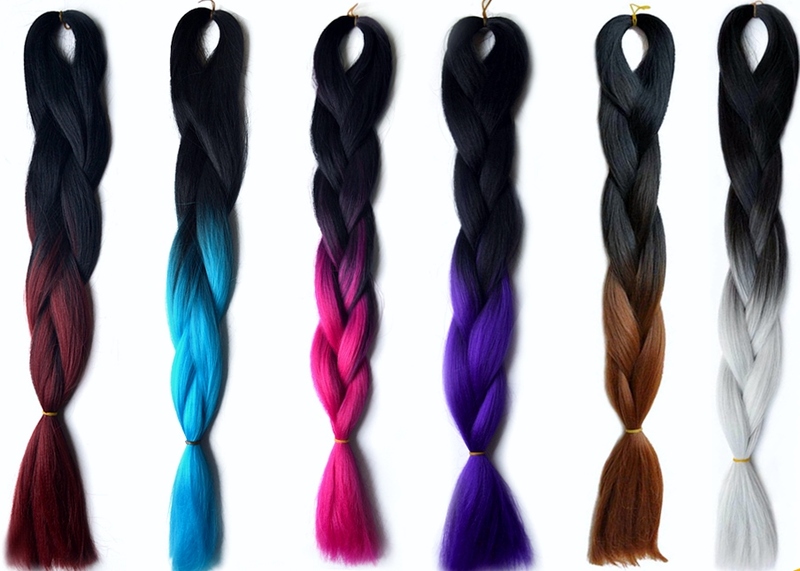 There is a plethora of colours and colour schemes for braided hair extensions. 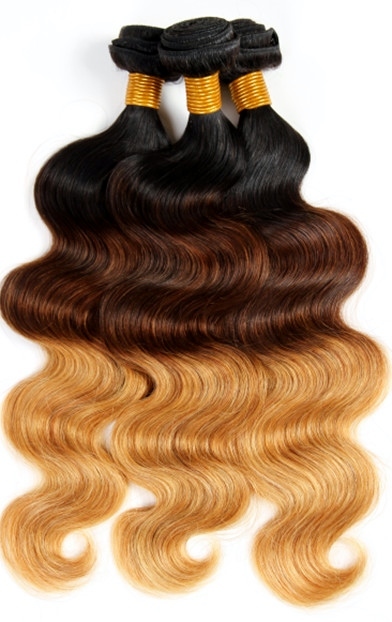 Braided hair extensions are available in dip-dye or ombre looks, as well as mixed strands. How Much Braided Hair Extensions Will You Need? If you are simply adding some streaks of colour to your hair then buy a minimal amount of colored hair extensions – A subtle look would be a ratio of 20% bright coloured hair. If you’ve chosen more understated colours then a ratio of about 40% - 50% would be ideal. Synthetic hair extensions labelled as jumbo braids, can be used for box braids (pick and drop plaits) and if you plan not to cut them in half and go for a pencil thickness then approximately 5 – 7 packs should do it. 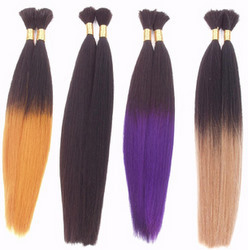 How Much Coloured Weave Hair Extensions Will You Need? 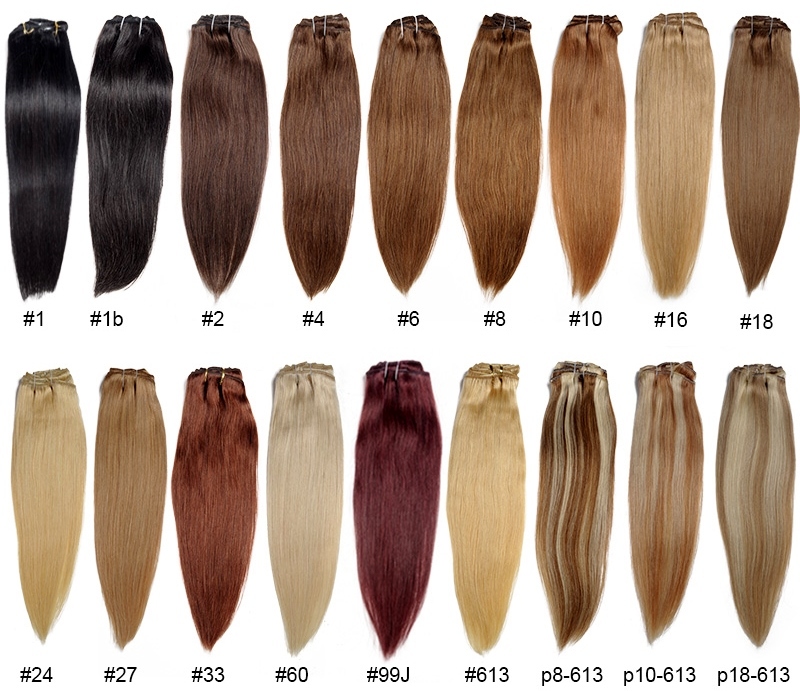 Two to three packs for a full head whether the hair weave is sewn or glued; and each of the hair weave texture articles illustrates just one of the myriad of colours used for hair weave which include solid colours, ombre, dip dyes, P-colours, T-colours, as well as mixed strands. Caring for human hair extensions can seem daunting and we've put together guides about micro ring care (aka micro loop), hair weave care and clip in hair extension care as well as easy steps for washing braided hair extensions. In terms of braided hair extensions, synthetic hair is the way to go based on cost and durability - for other types of hair extensions it's worth reviewing the colour difference between human hair and synthetic hair extension before you buy as it all depends on what you want to achieve with your look. If you're after more information on coloured hair extensions, check out our Hair Extension Q&A section or join our blog, it's easy to do and doesn't require any personal info - yay!